This is the 1st set of Zend Certification Tips and Advice to help anyone taking either of the two Zend Exams powered by Zend Technologies: the Zend PHP Certification Exam and/or the Zend Framework Certification Exam. The aim being to help people who want to sit for those exams and inform them what it is all about & what to expect by hearing it from (pro) PHP Guys who have already been through it, that is => Hear It From Zend Certified Engineers! 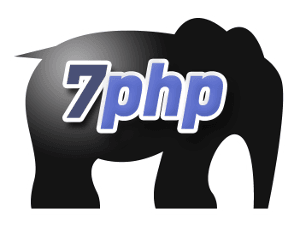 7PHP Zend Protip Series also has a group on FB and G+, do join us there! Who is Michelangelo van Dam ? This guy, @DragonBe, needs no introduction. He has the coolest name ever in the PHP community (something which you will often hear from the mouth of Cal Evans – Icon Of The PHP Community). >> Which of the certifications did you take? I started off with taking the ZCE for PHP 4 back in 2006. In 2007 I repeated the exam for PHP 5. In 2008 I decided it was time to become certified for Zend Framework and in 2010 I took my exam for PHP 5.3. So I’m one of the few people who got all 4 certifications. >> Can you briefly give us an idea of what ZC is about, what it tries to achieve? Back in 2006 I wanted to see if I had what it took to be a professional PHP developer. I was already working with PHP for over 5 years, but had no clue if I was doing a good thing. So passing that exam was more like a confirmation for myself that I was doing a good thing. Once I got my certification and was listed on the Zend Yellow Pages several doors were opened to new opportunities and a complete new world was shown to me. I knew then passing the ZCE was not just for personal interests but also for boosting your career. One of the major benefits is that you get listed on the Zend Yellow Pages which is like a major tool for many recruiters trying to find good PHP developers. You get a bunch of offers through it and allows you to pick the job you feel comfortable at. Another great benefit is that you get to “hang out” with other ZCE’s. At first this doesn’t look like a huge thing, but it does allows you to connect with other professionals and discuss or discover new ways to do your job better. It’s like finding new friends in the world of professionals. It’s not that others who haven’t passed the exams are not equally good or better at what they do, it’s just you have no way to connect with them if you don’t know they exists. >> What is the pass mark? The pass mark is in my opinion a wrong statement. If you have enough knowledge about PHP you can pass the exam. There will be questions about stuff in PHP you never used in your career (and most likely will never use in the future) but that’s ok. The questions are diverse enough to compensate your lack in one part with knowledge in another part. You just need to know a certain amount about PHP to pass the exam, and most of it comes from using the technology in a day-to-day basis. If you fail, you get percentages on all the subjects. If you pass, you simply get a “pass” message. Well my very first exam (for ZCE PHP 4) I took without preparation. Like stated before I wanted to see where I stood as a PHP developer. For the other exams I prepared myself a little to know about differences between 4 and 5 (ZCE PHP 5), the different modules of ZF (ZCE ZF) and stuff that was new (ZCE PHP 5.3). if you purchase a voucher for ZCE exams at Zend, you get a preparation kit. It’s not much, but it helps. >> Parts of the modules that you think is more complex and one should pay special attention to? This is a question that is being asked a lot by people who want to take the exam, but unfortunately the answer is not that simple. First of all I don’t know your current knowledge of PHP and how you’ve been using PHP in the past few months or years. Both for PHP and Zend Framework you need to consider that you need to know ALL of it, both from a usage point of view, syntax point of view, setup and configuration point of view and from a security point of view. There will be parts you never used and will never use but also parts you use many times a day. The complexity lies in the fact how you’ve been using PHP in all this time. If you’ve learned it right from the start you don’t have any issues passing the exam. But if you learned it the wrong way, you need to forget what you’ve learned and start all over. Basically teaching an old dog new tricks, and this is the most challenging part. Look at the references for PHP and ZF (depending on which exam you’re going to take) and play a little with the examples mentioned on the online reference guide. Once you get the hang of it, take a real good look at the configuration settings of PHP or Zend Framework and try to understand what each setting means. >> Your precious advice would be..? Don’t consider the ZCE exams to be your golden ticket to a better career. Passing the exams can help you getting better offerings but are not a guarantee it will work out for you. By passing a ZCE exam you’re doing yourself a favour. You’re proving to yourself you’re doing a good job and you show the world you’re not afraid to go the extra mile to become a better professional. My advice is to do it for yourself. If later on you get the benefits I mentioned above you can consider it a bonus to the exam but don’t take the exam and expect fame and fortune immediately. Your disappointment will be huge if it doesn’t work out for you. >> Things that you wished you knew before sitting for the exams? Sorry, no things I can think of at this moment. >> Your views with the way the exam questions were set? Well, the exams are focused on your knowledge of the technology. So questions will be tricky, sometimes even a bit strange but with good knowledge you should cope with the questions. Don’t forget, it’s still an exam and the goal is to make a difference! >> Can someone pass the ZPC & ZFC exams without spending money on the paid Zend’s certification products? >> Did you buy any learning material from Zend, how useful and critical were they? Would you have passed your exams without them? For ZCE ZF you need to know the exam is still based on ZF 1.5 and it will be hard to find good old ways of building Zend Framework applications based on the 1.5 stack. The only way of learning it is by using ZF 1.5 in a “demo” application and by reading the reference material for that version. Don’t forget a lot has changed since then and now with ZF 2 in the picture it will be even harder to find good articles in the blogosphere. I remember most questions as I wrote them down after the exams but because I signed the NDA prior to the certification I can not disclose them. Sorry. >> Can anyone sit for a ZFC without being a ZPC? Sure, those exams are totally unrelated. >> If someone is a successful ZFC, does that mean he is equally good with PHP in general, and hence does not need to get ZPC? What is your views on this, based on your experience so far.. If you are good using a framework, you’re good at using that framework. It doesn’t mean you know how internally that framework uses the technology beneath it nor does it prove you’re capable of writing your own additions to the framework. Same goes for WordPress, Drupal or Joomla. It’s not because you build a lot of web sites using that technology you can dive into the core code and fix bugs in it. Same is for ZF and PHP. >> Do you think studying for the ZPC exam will necessarily make the guy a better PHP programmer? Definitely you will pick up a thing or two you haven’t looked at before. And any preparation is always good to become better at what you do. >> Do you recommend PHP guys to get certified? I certainly do and they all got certified and are happy about me telling them to do it. It’s good for the developer’s self esteem, for their current work as their manager now can say they have “certified” developers working on the projects and optionally a good career booster. >> How does it help in getting employed? Like I already stated, it can help but doesn’t give the guarantee it will. Today’s economy makes businesses decide on a number of factors you need to bring to the table. By being certified you become part of the Zend Certified Engineers group and you can connect with other ZCE’s. They are most likely to help you finding good jobs or improve your career. But in the end, it all comes down how you sell yourself and how good you can negotiate. >> What do you need to do if you fail the ZCE exam? Don’t be afraid to fail. If you don’t pass the exam, you receive a listing where you failed and what you should focus on. Learn from your mistakes during the exam and get better prepared next time. As far as I know there’s no limit in how many times you can take the exam, except each exam requires a voucher that needs to be purchased so it will cost you (or your employer) money. It’s because the study guide focusses on the exam material that is based on php.net. I don’t consider it an issue, but a confirmation the guide is matching the material. – “The actual exam’s questions barely intersected with the material on the practice exams.”.. The practice exams are not the same as the official exams. They are created to give you an idea how the exam takes place… not to give you the real exam so you can study the questions. This is the same as your high-school or college exams. True, a good PHP developer has the manual open most of the time. But let’s be honest, if you need to look up each and every function on php.net, you’re not yet qualified as a PHP developer. Sometimes you just need to know stuff in order to be a professional. Especially if you need to work in an environment where there’s no outside internet connection. Same answer as before. You need to know stuff to be considered a professional. I want to path ZC too. I started to learn PHP 2 years ago and want to do this right now. Quoting your answer : ” Especially if you need to work in an environment where there’s no outside internet connection.” …. Sorry, What do you mean exactly? I have yet to find a web development firm that doesn’t possess an internet connection…. Your answer is actually very wrong. I consider myself an excelent PHP developer (I wrote a complex framework from scratch, with unique URL objectification / abstraction layer. Yet, I don’t know by heart 40% of PHP.net. I am using Netbeans, that actually include PHP.net documentationl and do nice autocompletion for me. So I don;t have to make the effort to remember the parameters order anymore. I know about 80-90% of PHP functions and what they do, but when I come to code, I always spend some time on PHP.net every day to actually double check which function are adapted to my code. I will pass the zend certification test sometime next year, and won’t retake it if I fail. If your test is all about knowing php.net documentation by heart, I am sure I’ll fail it first time , as 95% of Zend Developer themself will do.